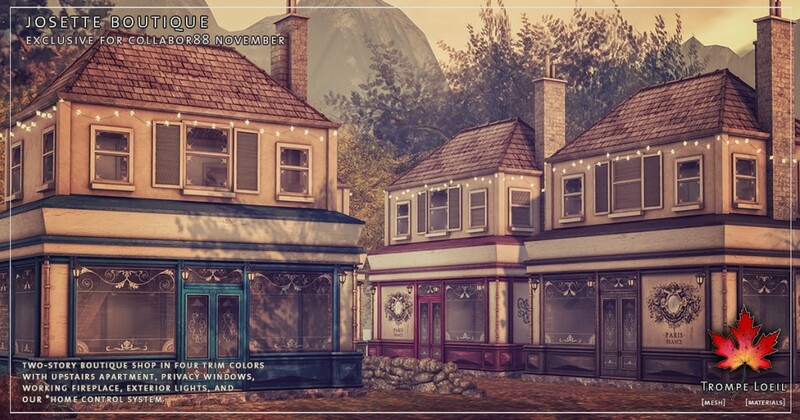 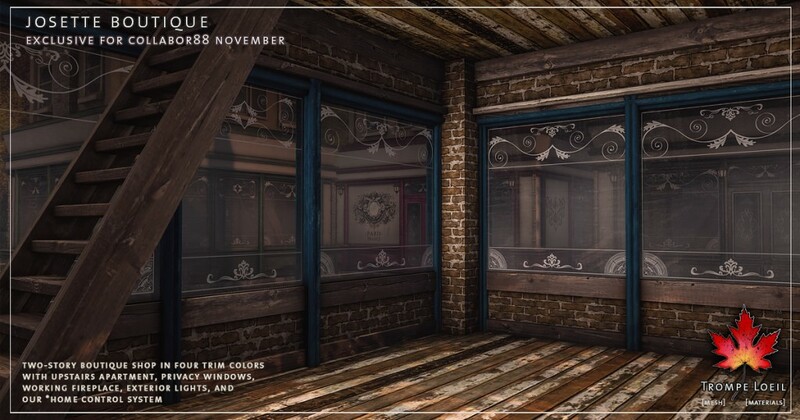 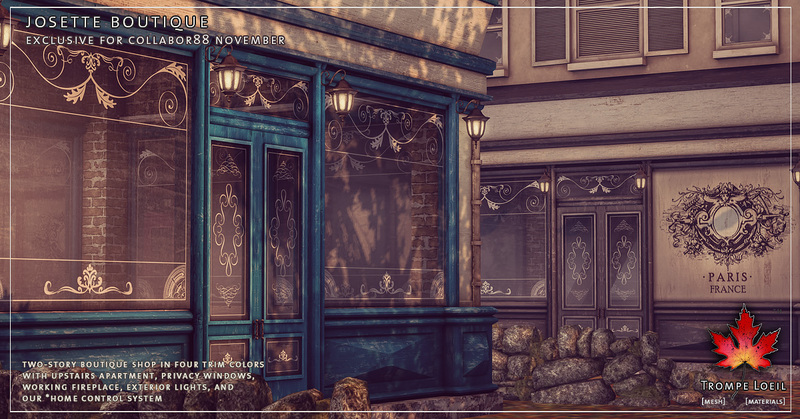 What could be finer than window shopping along a quaint boulevard in the crisp autumn air? 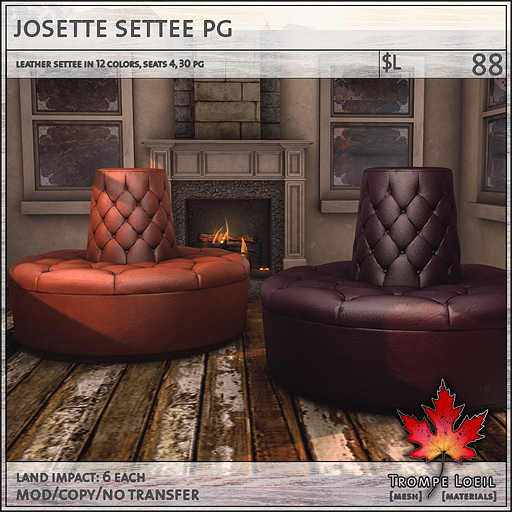 Setting up your own studio apartment above the best boutique, of course – our Josette Boutique and matching leather Settee, only at November’s round of Collabor88! 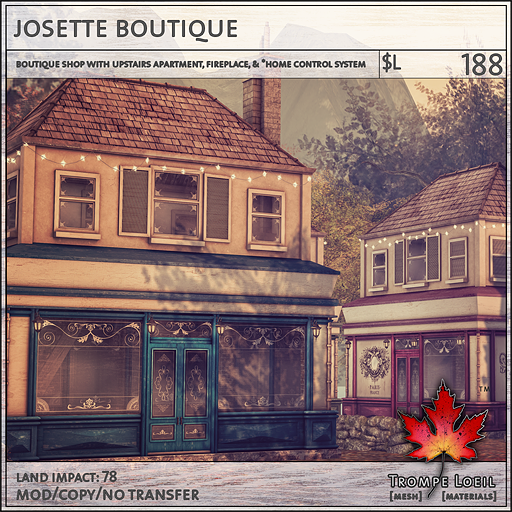 The Josette Boutique comes in four trim colors (blue, black, boysenberry magenta and green) and features two full single-room stories, a working fireplace, lockable doors, exterior lights, and our *home control center system. 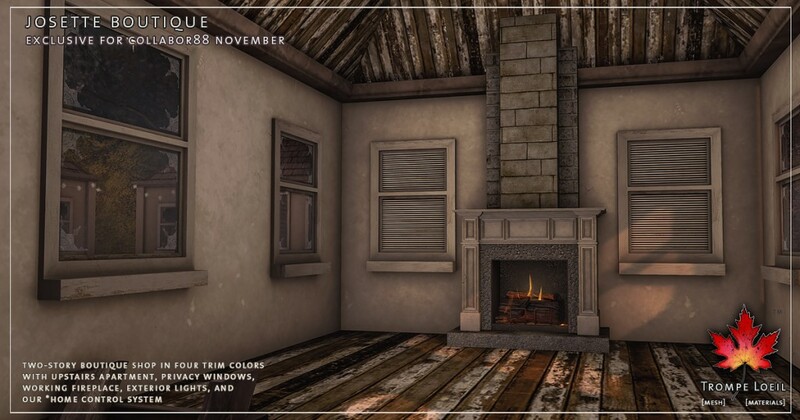 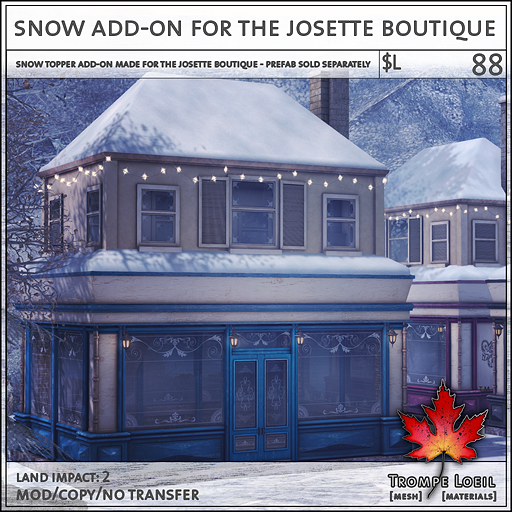 Don’t forget to pick up the Snow Add-On pack as well for winter decorating! 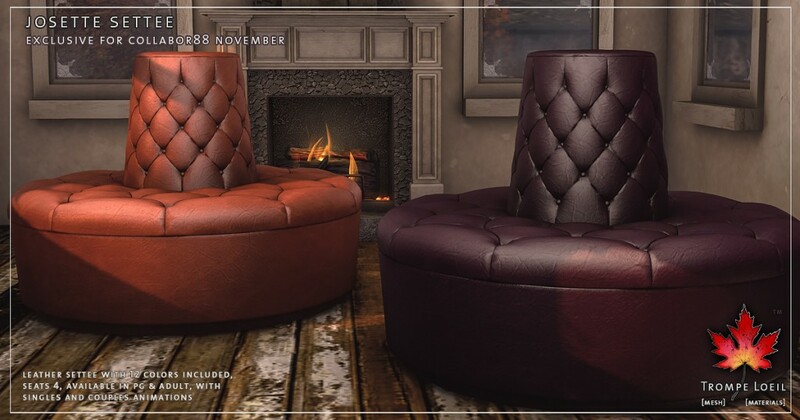 The perfect touch for any shop or living room? Our leather Josette Settee, in 12 solid and matching duo colors, your choice of maturities, and seating for up to 4 people! Available at a great Collabor88 price for November’s round – check out the on-site display!